I still have flashbacks to having a tooth extracted at the Russell Institute when I was about 8 years old. Christ, it was like something out of a nightmare. I remember the old lift to an upper floor, and the old-style dentist chair that seemed to be like an island in the middle of a huge, austere, tiled room. It was a truly hellish experience, and is one of my most vivid childhood memories. ETA: I'm saying it's a vivid memory, but did it definitely have a lift. I'm pretty sure it did. The photo shown was after the carpet factory.It then belonged to Lang the Timber Merchants.It's last owners before it became flats. 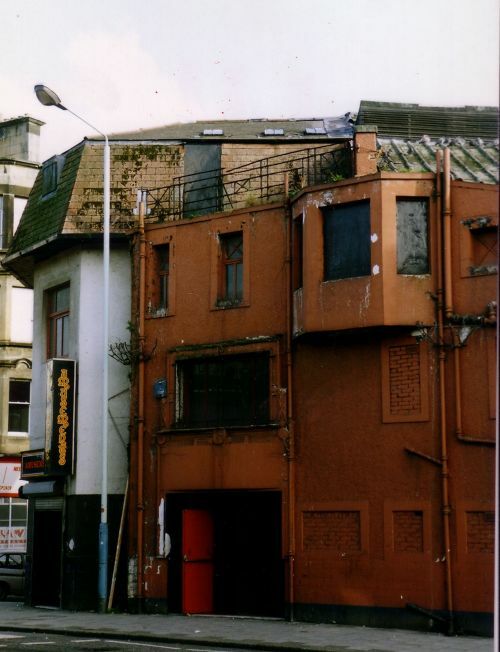 Omitted it being the Landmark Furniture Store after Lang and before it was flats.
.(Location cited as NS 482 651). Carpet factory, Inchinnan Road, founded in 1870 by Ronald, Jack and Co Ltd. An unusual 3-storey, 2-by-18-bay, red-and-white-brick building with deeply recessed windows and decorative string courses, dated 1912, and an older 3-storey, 4-by-14-bay, red-and-white-brick block, with north-light rdged roof. "He was very, very hungry!" This is an excellent thread and I shall read it daily with anticipation and glee (no, not the shitey US kids programme)! Paisley is a beautiful town with amazing buildings, a wonderful history and fabulous people. It's easy to to tag it "shitehole", "junkie-ridden" and whatever else the unimaginative negs like to say. I say it is my town, it is wonderful and I love it! FWIW I live in one of the only remaining buildings that formed the Ferguslie Thread Works site and I'm within spitting distance of tomorrow's building! Also, as I work in the West End, Gallows Green (at least one of them) is between Queen Street and Maxwellton Street, at the back of Buddies. Although the tenements that squared it at the Queens Street side have been demolished so it's fair to say that Gallows Green is now on Queen Street, as it opens right up onto it. You can get to it from Maxwellton through a close. The 'new' dual carriageway that goes from the junction of Maxwellton Street and Broomlands Street to the roundabout at the end of Underwood Road is called Green Gallows Road. That's my thought...the D&D inscription is up above the door. Stopped the car one day to have a closer look at it. If that is right, then it isny where I thought it was either Bluto... I was thinking where you're probably thinking. Confirmed on Goooooooooooooooogle Maps, it is the Bethany Church... Wowzers, who'd of known it! Spitting distance from where I work but not from where I live! You the Guy, Who look's like Elvis - Work's in the Hippy Chippy ? Sure you're not thinking of Sid, he's looking for a new England, I believe. Sadly, I'm not even half as cool. Somner9 followed by St St Sid and BuddieCat correctly recognised the location of the building as Queen St. 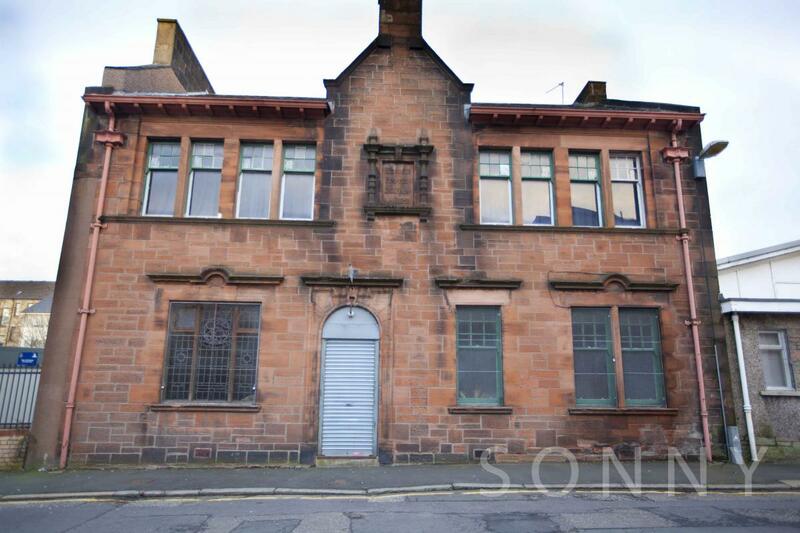 It was built in 1905 as a day school for the deaf and dumb children in Paisley although the Institute for the Deaf and Dumb had existed in Paisley since 1880. It is now part of the Bethany Church. 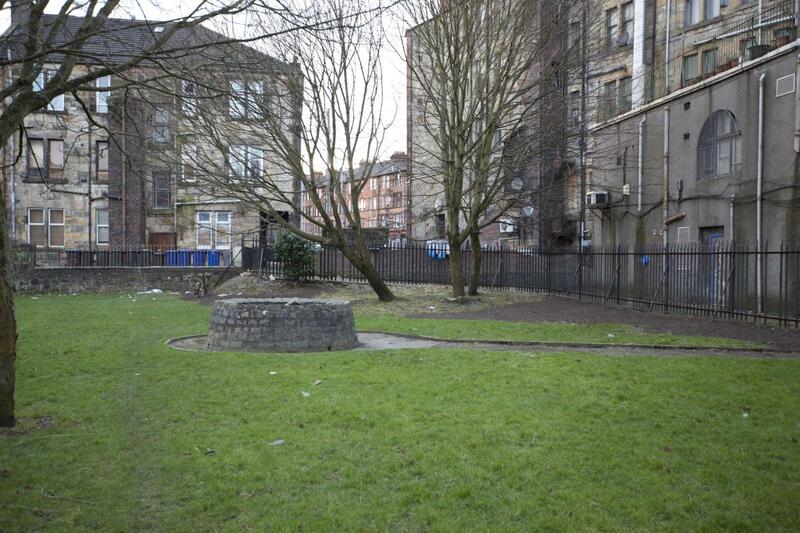 Since Bluto and Windae Cleaner brought up the subject of Gallow Green, which is also accessed from Queen St, I have included a wee shot of that as well. It just looks like a back green and there were no signs that I could see that gave any more information. There appears to be a Well there (anything to do with Well St?) but I dont know anything about that either. I have not come across any references to a Gallows in the East End but Gallowhill may provide a clue. You got any more information about that Sid? I remember getting a bag of condoms free there for a holiday in Tunisia about 1994ish with my then girlfriend. Maybe was a nightmare for her but I enjoyed it. There's been some suggestion in the past that Gallowhill was never the site of gallows, but was the site of a dule tree or dool tree - a large tree near a crossroads or the main road into the area where people were hung on display - I think it's assumed it was somewhere near Gallowhill House (near the woods and field at Priory Avenue) or as any Gallowhill punters might know it better - the Coosie. I remember going to a cinema somewhere in the West End in the early 60s to watch some chimpanzees who were promoting tea. 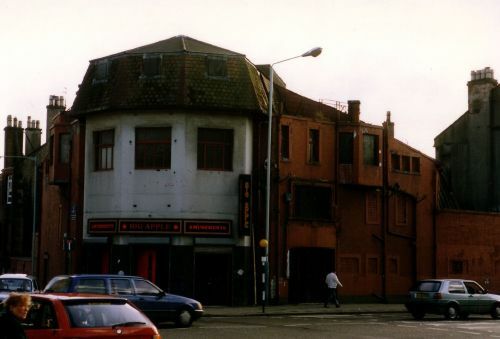 The Regal was close to the west end. ABC Minors on Saturday morning.Batman and Robin favourite. During the 70's and 80's the hanging point was the railway footbridge.